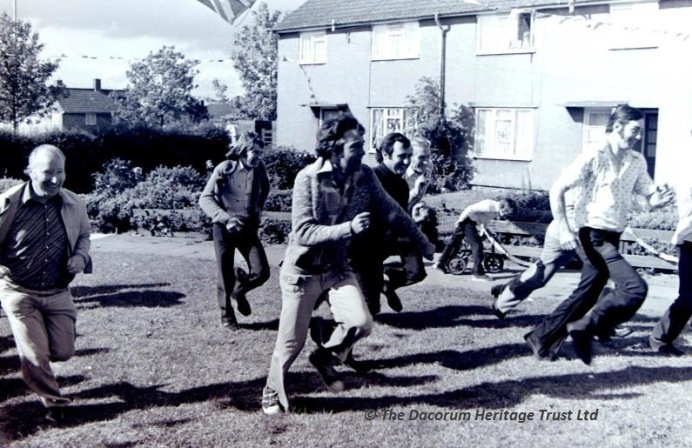 Saving the 70s- 1977 Silver Jubilee | The Dacorum Heritage Trust Ltd. 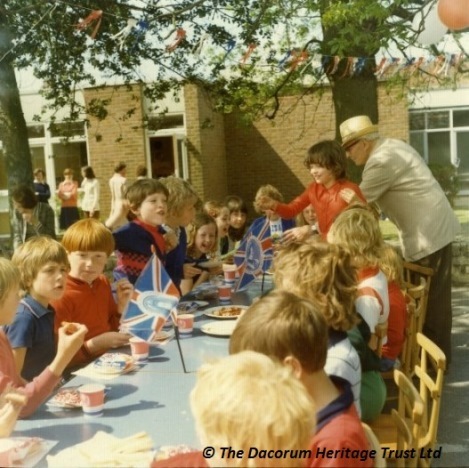 In 1977 Queen Elizabeth II had been on the throne for 25 years and across Dacorum people celebrated. 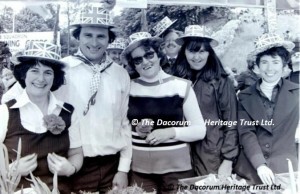 There were street parties, carnivals, fetes and dances. Berkhamsted Round Table Fete in the castle grounds. 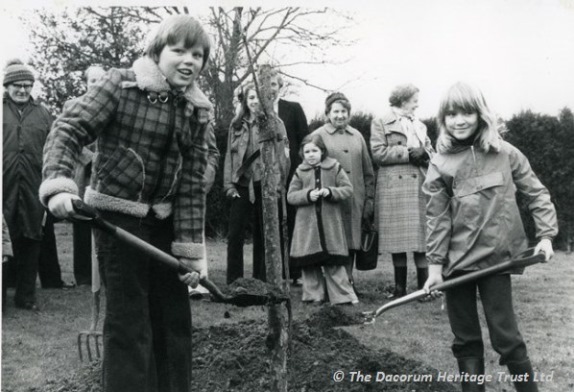 Nina Quin and Patrick Eddon planting the Jubilee oak tree in Potten End. Jubilee tea party at Potten End School. Do you recognise anyone from this street party in Hemel Hempstead? ‘Watch Out There’s a Humphrey About’ was an advertisement by Unigate Milk which encouraged people to drink more milk.